The desire to reduce spending in F1 is nothing new, long before Liberty Media appeared on the scene the likes of Max Mosley were warning of the perils of spending wars while seeking to level the playing field and make the sport more attractive to newcomers. After much huffing and puffing - as is ever the way when negotiating with the teams - it was decided to limit testing. In these days of two four-day pre-season tests, followed by two two-day tests in-season and a tyre test at the end of the year, it's hard to imagine when testing was basically a free-for-all, with teams running a dedicated test team almost wherever and whenever it suited. 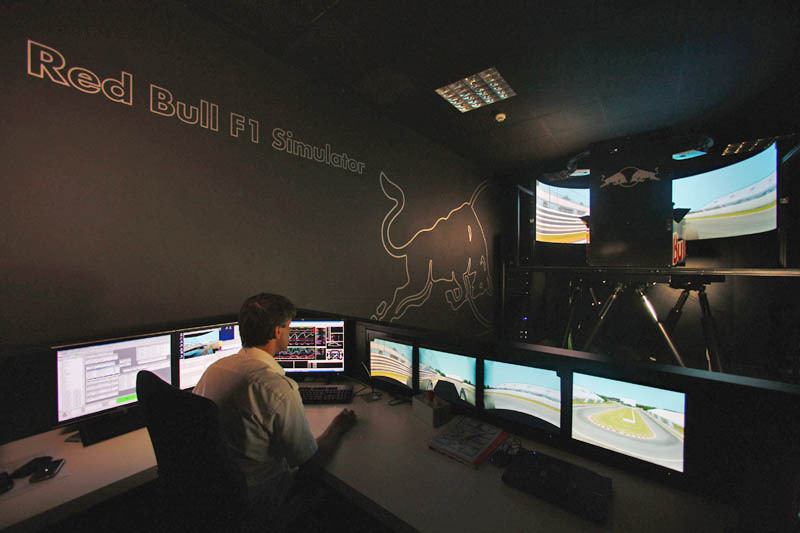 As ever however, when one door is closed to the F1 teams they quickly find another, and soon drivers were pounding out the miles in ever more sophisticated simulators. Over the last couple of seasons, the likes of Ferrari have clearly benefited over Grand Prix weekends from the work done back at the factory by the likes of Antonio Giovinazzi or Daniil Kvyat. Indeed, so-called test and reserve drivers these days often get little or no running in the actual race cars, spending all their time in the simulator. Speaking in Abu Dhabi, while lauding the fact that Sauber's HQ is closer to his home than Maranello - and therefore less of a journey to work - the Finn revealed that he has a simulator at home, which the team was free to use. While appreciating that the simulator has indeed helped reduce costs, Jean Todt - on whose watch Ferrari made unprecedented use of on-track testing during its golden era - believes that it has also compromised fans enjoyment of the development of the cars, with much of the work being carried out in the factory, hidden away from them. "The evolution of motor racing, of automotive, is absolutely fascinating," he told Sky Sports. "I mean, things are changing, sometimes for the good, sometimes the less good. "Cars are too reliable," he continued, a comment borne out by the fact that Mercedes suffered just two DNFs this year. "I feel that cars are too reliable. I feel it's too much happening that you don't see... simulation, drivers simulating race circuits in the factory during the race weekend or any other period without any limitation. "In a way I miss sometimes the past," he admits. "I miss private testing, everybody was complaining it's too much private testing. At least you could see what was happening. "Probably it was too much, but now I think it's too much hidden simulation in the factory. I mean, clearly, sometimes modernity is good but it should be also a bit more controlled." Verstappen's public service to involve working with stewards? "If you ban complicated simulators, F1 will just use Playstation equipped driving seats, if they don't do so already." "Here’s an Idea, make it mandatory to run 3 cars on Friday. "@Bill Hopgood - Ah yes, the much lamented 3 Day Goodyear Tyre Test the proceeding week of the British Grand Prix. What a wonderful way it was to build up excitement. And all for only £4 per day, never has F1 and Silverstone delivered so much more value….."
"Moral of the story.....be careful what you wish for. Another idiot running/ruining F1"
"Something else that got whacked by the ban of in season testing sessions, where all the teams showed up for a couple of days, is that a team could have their sponsor / partners show up and see what was happening. Those sponsors could bring their customers and prospects too, which could lead to more sponsors and so on. The general public could also go and watch which was great for those that could not justify the expense of going to a race or could not get to a race for logistical or timing reasons. It would be good to bring back a Silverstone test the week after the British GP (if it remains) and maybe another at Monza (if it remains). Or, do the testing on completely different tracks in different countries to promote the sport. Otherwise, dedicate race weekend Friday to "young" drivers." ""I feel that cars are too reliable." Really? Perhaps you should mention that to Danny Ric. Or Fernando. Or to McLaren and Toro Rosso and Honda. Or maybe discuss that with whoever made the rule that you only had three engines for the whole year? And four (or is it five?) gearboxes. Oh, wait... that was *you*, wasn't it? Oh, and when there was unlimited testing, and the team *you* ran had its drivers pounding around your own private test track every day between races, and you were winning back-to-back world championships - how reliable were your cars then? And if simulation is so great, why was the Williams car such a dog this year? Or that Nick Wirth managed to design and build an F1 car that didn't have a large enough fuel tank to complete a race? "I miss private testing... At least you could see what was happening." Yeah, *you* could. Not the rest of us.